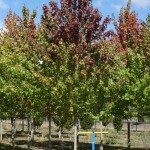 A broadly oval Red Maple that develops brilliant red fall color. 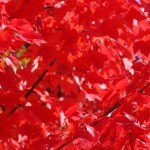 The summer foliage is dark green and glossy, with red stems. 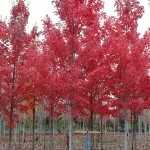 It is one of the last of the Red Maples to color and one of the most reliable in warmer climates. 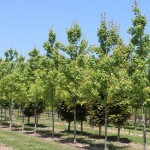 It is easily grown in average soil in full sun to part shade. It prefers moist, acidic soils with good drainage. This is a female selection from the early 1960's.